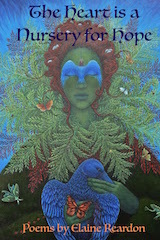 https://oklahomapaganquarterly.com/ Appreciation to Oklahoma Pagan Quarterly who feature my poem in this new summer issue of the magazine. I just received it the mail and it looks like good reading. In the past week I’ve passed female deer on the road about 4 times… they’ve stopped and watched me— we’ve watched each other. I’m also striking up a friendship with a new rabbit family that’s moved in under my shed.The young brave one is growing, but prefers eating weeds to my offerings of extra lettuce and new strawberries. I guess these rabbits believe that good fences make good neighbors and don’t want to start eating my garden. We’ve just had enough rain to replenish the vernal pools, and I wish I culd share the sound of the stream running fast again. Frogs are hopping all through the garden today, and a small garden snake was in the lettuce. Summer Blessings. This entry was posted in Announcements, magic, nature, pagan celebrations, poetry. Bookmark the permalink.